The authors are Associate Professional Officer and Animal Health Officer, respectively, Animal Health Service, Animal Production and Health Division, FAO, Rome. Echinococcosis/hydatidosis is a zoonotic parasitic disease caused by the dog tapeworm Echinococcus and its larval stage, the hydatid cyst. This parasite is found worldwide and causes serious public health problems in certain parts of the world (Schantz, 1990). In addition there are economic losses from the condemnation of affected organs. Echinococcosis is a cyclozoonosis that requires two vertebrate hosts to uphold the life cycle (Figure 1). Humans can accidentally become intermediate hosts by ingesting the eggs of the tapeworm. 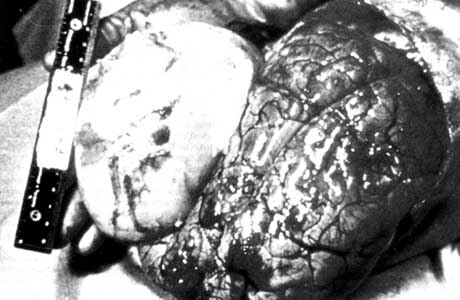 While most cysts develop in the liver and lungs, other organs arid tissue (Figure 2) may become affected (Soulsby, 1982). The wide variety of animal species that can act as intermediate hosts and the domestication and spread of some of these animals from Europe to other parts of the world has given Echinococcus granulosus a worldwide distribution. It has been extensively studied in a number of different geographical areas and is now present in Asia, Africa, South and Central America and the Mediterranean region (McManus and Smyth, 1986). It is also common in parts of the United Kingdom, Europe and Australia (Cook, 1989; Schantz, 1990). Some countries, such as Iceland and Cyprus, have already eradicated or are close to eradicating the disease. Control measures in New Zealand and Australia (Tasmania) have significantly reduced the prevalence of E. granulosus, and successful control programmes are currently being conducted in Turkana (Kenya), Chile and the People's Republic of China (Schantz, 1990; McManus and Smyth, 1986). Although control programmes resulting in a marked decrease in the incidence of the disease have been carried out in some countries, little effect has been achieved worldwide. There is some evidence that the disease is spreading because of a lack of meat control, dog management and appropriate legislation (Gemmell 1979; Schwabe, 1986). The epidemiology and control of hydatidosis is often considered to be a veterinary matter since the disease can be regulated by controlling parasites in animals. However, collaboration between veterinarians and public health workers is essential for the successful control of hydatidosis (Thompson and Allsopp, 1988). At present, four species of the genus Echinococcus are recognized and regarded as taxonomically valid: E. granulosus (cystic hydatidosis), E. multilocularis (multivesicular hydatidosis), E. vogeli (polycystic hydatidosis) and E. oligarthrus (Soulsby, 1982). These four species are morphologically distinct in both the adult and the larval stages. In addition, several different strains of E. granulosus and E. multilocularis are recognized (FAO, 1982). The development of strains may be a result of the fact that tapeworms are hermaphrodites, which reproduce themselves through cross- or self-fertilization. A single mutant can therefore produce large genetically identical populations that differ from the original genus. These populations are referred to as strains (McManus and Smyth, 1986). Only E. granulosus is discussed here in detail since it is the species most widely distributed throughout the world (FAO, 1982). The adult tapeworm is found in different parts of the small intestine of the definitive host (Figure 1), from where segments containing eggs are passed with the faeces (Figure 3). When ingested by the intermediate host, the eggs are immediately infective, releasing larvae that penetrate into the lymphatic or vascular system, reaching the liver or lungs and possibly other organs (Figure 4). The hydatid cyst (Figure 5) develops slowly over several months, forming an outer laminated membrane and an inner membrane called the germinal layer. From the germinal membrane brood capsules develop, each containing one or several invaginated heads (protoscolices) that can develop into the adult tapeworm upon ingestion by the definitive host (Soulsby, 1982). It is likely that E. granulosus originally completed its life cycle among wild animals in a sylvatic cycle that involved, for example, wolves and cervids or lions and warthogs. It has now adapted: into a "domestic" cycle, however, commonly involving dogs and sheep (FAO, 1982; Soulsby, 1982). As E. granulosus has little host specificity with regard to intermediate hosts, hydatid cysts have been seen in a wide range of mammals, including domestic ruminants, camels, giraffes, pigs, equines, elephants, hippopotamuses, marsupials and different types of deer, as well as humans (Raush, 1986; FAO, 1982). Echinococcus granulosus is primarily maintained through domestic (Figure 6) and sylvatic life cycles. The life cycle (Figure 1) is complex, involving two hosts and a free-living egg stage. The dynamics of the transmission of the parasite are determined by the interaction of factors associated with these two hosts and with the external environment. In the definitive host the parasitic burden is determined by the number of protoscolices ingested. Natural resistance varies in dogs and there is evidence that acquired immunity develops slowly. This immunity is likely to affect the number of established worms (FAO, 1982; Soulsby, 1982). Segments detached with the faeces may perform rhythmic contractions and relaxations that assist egg-expulsion (FAO, 1982) and eggs may be dispersed over considerable distances away from the faeces. Since sheep generally avoid grazing near areas contaminated with dog faeces, this dispersal mechanism enhances the chances of eggs being ingested by the grazing animals. This has important epidemiological implications since a single dog can thus infect many sheep over a wide area (Gemmell and Lawson, 1986). It has also been shown that flies and possibly other insects may mechanically transport eggs over considerable distances, having been contaminated during feeding or egg-laying activities in or on the dung (Lawson and Gemmell, 1985). The survival of the infective egg is influenced by environmental factors, such as humidity and temperature. While eggs may survive for several months under moist conditions and moderate temperatures, desiccation is detrimental and they will only survive a short time when exposed to direct sunlight and dry conditions. The number of infective eggs ingested by the intermediate host is therefore determined by the level of contamination and the infectivity of the eggs. 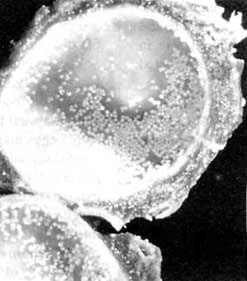 Furthermore, the number of eggs that develop into hydatid cysts is controlled by the immune system of the host (Thompson and Allsopp, 1988). The adult echinococcus is considered to be rather harmless to the definitive host, except when it occurs in large numbers, which may cause severe enteritis. The effect of the hydatid cyst on the intermediate host depends on the size and location of the cyst. 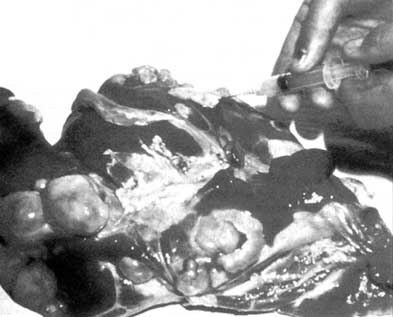 There are few available data on the clinical effects of the cystic hydatid disease in animals since the cyst is slow in growing and animals are often slaughtered before it manages to create sufficient pressure on the tissue or organs (Thompson and Allsopp, 1988). The hydatid cyst is normally well tolerated in humans until its development results in pressure on adjacent tissue or organs. The cyst may also burst into the peritoneal or thoracic cavity, which can cause anaphylactic shock or give rise to many new cysts. In the definitive host, a post-mortem examination is the most reliable method of diagnosis. Examination of the faeces after using arecoline as a purgative is less reliable, although proglottides in the faeces is conclusive. Egg counts are not specific because of the similarity of eggs from other tapeworms of the Taenia family (FAO, 1982). 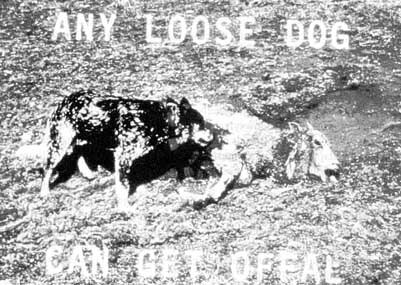 Serological screening has recently proved to be a powerful tool in detecting infected dogs (Gasser et al., 1990) and is superior to the arecoline testing. In the intermediate host, diagnosing hydatidosis is possible through scanning, radiology, serology and postmortem examination. The post-mortem examination of sheep is usually an important component in monitoring the efficiency of control programmes. A number of anthelmintic drugs have proved to be effective against adult stages of E. granulosus in the final host. The best drug currently available is praziquantel (Schantz, 1982; WHO 1992), which exterminates all juvenile and adult echinococci from dogs. Unfortunately, surgery is the treatment of choice at present, but several of the benzimidazole compounds have been shown to have efficacy against the hydatid cyst in the intermediate host. Long-term treatment with albendazole has a particularly marked effect on the cysts (Morris et al., 1990; McManus and Smyth, 1986), while long-term treatment with praziquantel only has a limited effect with few changes in the germinal layer of the cyst. Echinococcosis can be controlled through preventive measures that break the cycle between the definitive and the intermediate host. These measures include dosing dogs, inspecting meat and educating the public on the risk to humans and on avoiding feeding offal to dogs, as well as introducing legislation. None of these measures will work in isolation, however. The disease can be controlled successfully through health education and appropriate legislation only when people understand the life cycle of the parasite. It is of the utmost importance that the government be involved, through the Ministries of Health, Agriculture and the Interior, for example. So far, the only successful control programmes have been those where the Ministry of Agriculture has been the responsible control authority (Gemmell, 1979). Recently, a recombinant vaccine has been developed. When fully tested, it will become a valuable tool in the vaccination of sheep (M. Lightowlers, personal communication), breaking the life cycle of echinococci. With an efficient vaccine the attack phase, as described later, can be shortened considerably. · Appointment of an appropriate control authority supported by legislation. · Collection of baseline data from which cost-benefit analyses can be made and appropriate control strategies identified. The data should include the size of the rural dog population, incidence and age prevalence of hydatidosis in humans, reinfection rate of rural dogs and number of veterinarians and technicians needed to treat and test every 10 000 rural dogs. · Development of a computer-based surveillance programme from which progress in control can be determined and cost-effective modifications can be made. · Selection and training of staff. · Appropriate funding for the programme. The attack phase is labour-intensive and therefore very costly. It involves the dosing of dogs every six weeks the key measure of control - as well as serological surveillance and/or arecoline surveillance. The duration of this phase will depend on the strategy utilized, however, and according to the experience gained, it will take at least ten years and often more. Public education programmes, including instruction in the importance of not feeding uncooked offal to dogs, and strengthened general meat control must be implemented simultaneously. In order to ensure success, it is paramount that funding is secured for the entire length of the programme before it is started. The consolidation phase transfers activities from indiscriminate dog dosing to the quarantining of infected farms or farms deemed to be at risk. This transfer should be accompanied by the introduction of penalties for having infected dogs, if appropriate. During this phase, all special activities will cease and the normal resources of the meat inspection services of the Ministry of Agriculture will be used to prevent reintroduction. Maintenance of eradication is secured through the continuous surveillance monitoring of human, canine and livestock populations. Control programmes have been carried out successfully in several countries, including Australia (Tasmania), New Zealand, Cyprus and the Falkland Islands, where E. granulosus is maintained through a domestic cycle involving dogs and sheep (Gemmell and Lawson, 1986). Other countries are planning to institute similar control programmes. In spite of the progress in these areas, echinococcus/hydatidosis remains a serious public health problem in a number of countries. It is very important to support and implement new control programmes so as to prevent further spread of the disease. Research in possible vaccines is essential in order to supplement the existing methods of breaking the Echinococcus life cycle. Both WHO and FAO are interested in collaborating with national governments in developing national or regional control programmes. Cook, B.R. 1989. The epidemiology of Echinococcus granulosus in Great Britain. Ann. Trop. Med. Parasitol., 83 (1): 51-61. FAO. 1982. Echinococcus/hydatidosis: surveillance, prevention and control. FAO/UNEP/WHO guidelines. FAO Animal Production and Health Paper No. 29. Rome. Gasser, R.B., Lightowlers, M.W., Rickard, M.D. & Dawkins, H.J.S. 1990. Serological screening of farm dogs for Echinococcus granulosus infection in an endemic region. Aust. Vet. J., 67(4): 145-147. Gemmell, M.A. 1979. Hydatidosis control: a global view. Aust. Vet. J., 55: 118-124. Gemmell, M.A. & Lawson, J.R. 1986. The epidemiology and control of hydatid disease. In R.C.A. Thompson, ed. The biology of Echinococcus and hydatid disease, p. 1&9-216. London, UK, George Allen & Unwin. Lawson, J.R. & Gemmell, M A. 1985. The potential role of blowflies in the transmission of taeniid tapeworm eggs. Parasitology, 91: 129-143. McManus, D.P. & Smyth, J.D. 1986. Hydatidosis: changing concepts in epidemiology and speciation. Parasitol. Today, 2(6): 163-168. Morris, D.L., Richards, K.S., Clarkson, M.J. & Taylor, D.H. 1990. Comparison of albendazole and praziquantel therapy of Echinococcus granulosus in naturally infected sheep. Vet. Parasitol., 36: 83-90. Raush, R.L. 1986. Lifecycle patterns and geographic distribution of Echinococcus species. In R.C.A. Thompson, ed. The biology of Echinococcus and hydatid disease, p. 44-80. London, UK, George Allen & Unwin. Schantz, P.M. 1982. Echinococcosis. In L. Jacobs & P. Arambulo, eds. CRC handbook series in zoonoses. Schantz, P.M. 1990. Parasitic zoonoses in perspective. Int. J. Parasitol., 21(2): 165-166. Schwabe, C.W. 1986. Current status of hydatid disease: a zoonosis of increasing importance. In R.C.A. Thompson, ed. The biology of Echinococcus and hydatid disease, p. 81-113. London, UK, George Allen & Unwin. Soulsby, E.J.L. 1982. Helminths, arthropods and protozoa of domesticated animals, 7th ed. p. 119-127. Thompson, R.C.A. & Allsopp, C.E. 1988. Hydatidosis: veterinary perspectives and annotated bibliography. WHO. 1992. Report of the WHO Working Group Meeting on Clinical Medicine and Chemotherapy of Alveolar and Cystic Echinococcosis. WHO/CDS/VPH/93. 118pp.